Gamestop has reportedly hit it’s Xbox One Launch-Day allocation. The retailer’s outlets across the U.S. are no longer taking pre-orders for the anticipated next gen console. Apparently they have sold out of it’s allotted number of systems. One would immediately jump to the conclusion that this would be great news for microsoft and the consumers interest in the Xbox One. And considering that it’s console received a lackluster showing at E3 and many fans seem to be expressing their disappointment in the new entertainment system. This COULD be good news… But before you get too excited let’s read some other facts. Other reports say that the “per-store allocation” appears to be very limited for the Xbox One. And is in fact completely eclipsed by the number of PS4‘s per store. “We were only given an allocation of 16 Xbox One‘s but we have 60 PlayStation 4‘s and we’re still taking orders,” the manager of a Calfornia-based store had to say. I’d be curious to know how well the PS4 in-store pre-orders are going in comparison. Are they selling 1:1 which would then put the PS4 at an advantage, or is the Xbox One just selling that much better? Of course this is still early on and more Xbox systems could be shipped to the stores before the holiday rush begins. 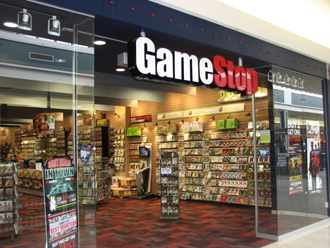 Gamestop did confirm however that while the in-store reservations have been halted, customers can still place orders through gamestop.com. What will you be pre-ordering? To read more from the source click here. ← State Of Decay Breaks XBL Sales Record. Reblogged this on My New Xbox.